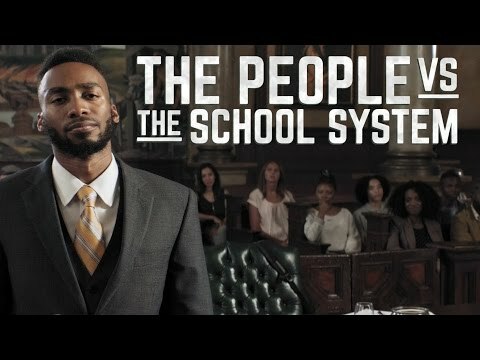 About this Youtube video: THE PEOPLE VS THE SCHOOL SYSTEM Don t forget to like comment and SUBSCRIBE For more inspirational content watch I Quit Dear Future Generations Sorry The Future I Believe In BOOK REFERENCES. If you are interested in learning more on the subject I would suggest a few books to get started 1 Weapons of Mass Instruction by John Taylor Gatto 2 Creative Schools by Ken Robinson 3 I Love Learning I Hate School by Susan D Blum 4 The One World SchoolHouse by Salman Khan Check out the audio only version here How do YOU think we can create a better future for learning. Go here and share your thoughts on the topic Music by Filmed and Edited by Directed By Joel Bergvall and Joe Lombardi Awesome Animation and Graphics By Hodja Berlev Casting and Assistant Production By Spencer Sharp Join My Motivational List and get Exclusive Videos Discounts and Updates Prince EA PrinceEa .